Did you know you can overfill a litter box? Or staring intently at a moth can actually exhaust your cat? 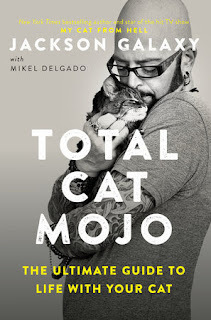 These are just a few of the things you'll learn in Jackson Galaxy's new book, Total Cat Mojo. FTC Disclosure: I was given a copy of this book as compensation for posting this review, however all opinions are my own. We at A Tonk's Tail only feature products we feel are relevant to our readers. In it, you'll read phrases that resonate deeply with any pet lover, such as "releasing ownership and embracing relationship." You read that right. 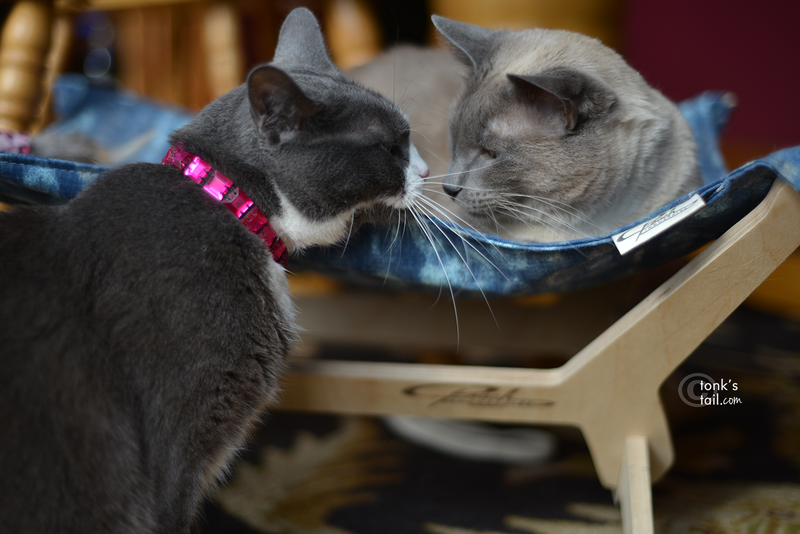 One of Jackson's stated goals is to bring people to a place where they have a new outlook on their relationship with their cats, by seeing it as a relationship. And the book is filled with tools to promote a healthy family dynamic. Things like why routines and rituals are important to establish a daily rhythm for stability, how to create a 'mojo map' to identify socially significant areas and patterns, and how to minimize bullying behavior (yes, I'm looking at you, Faraday). "Who, me? What about Allie?" I especially liked his "Wallflower Scissorhands" paragraph, something I'd never considered. Although there are other measures you can take first, this is simply the practice of keeping the nails of the bullying victim long. Jackson writes: "We work very hard to get Wallflowers to stand up for themselves. Why not slip a pair of brass knuckles on their paws?" Trimming the bully's nails and not the victim's might get him to think twice next time he feels like flexing his muscles. "In case you were wondering, Maxie - my nails are NOT trimmed." And if you haven't heard of the feline version of Eat, Play, Love you'll get plenty of it inside these pages: Hunt, Catch, Kill, Eat (HKCE). Understanding this has been an "aha!" moment for many cat owners. And lest you feel like you know it all, how about this little tidbit? 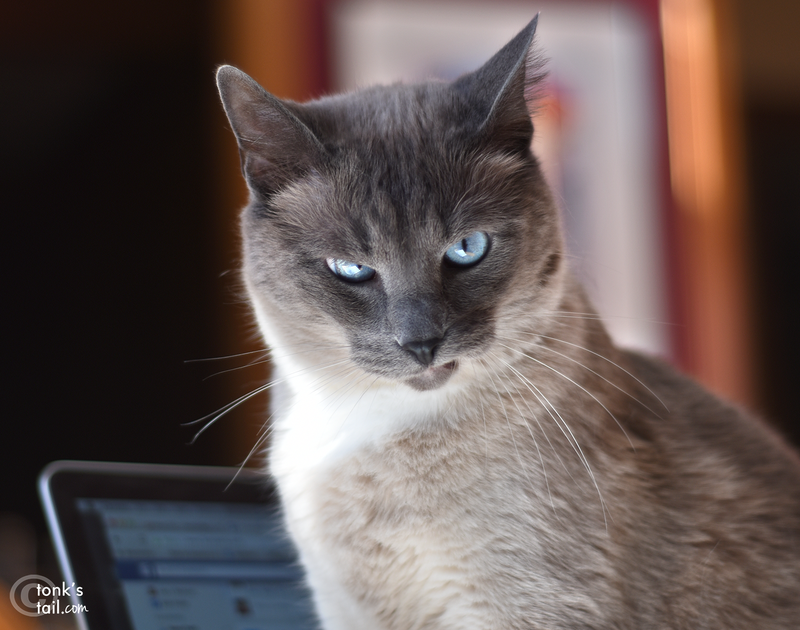 "Hunting happens even when the cat isn't continually moving." "I'm hunting your computer cable." Most people immediately get the concept of "if you wear your cat out with play, he will be too tired to ________". You fill in the blank: act out, pester a sibling, etc. But what most people don't understand, Jackson explains, is that exhaustion isn't always a high-calorie burn. "Expecting success to look like a track-and-field event will result in both you and your cat being frustrated." 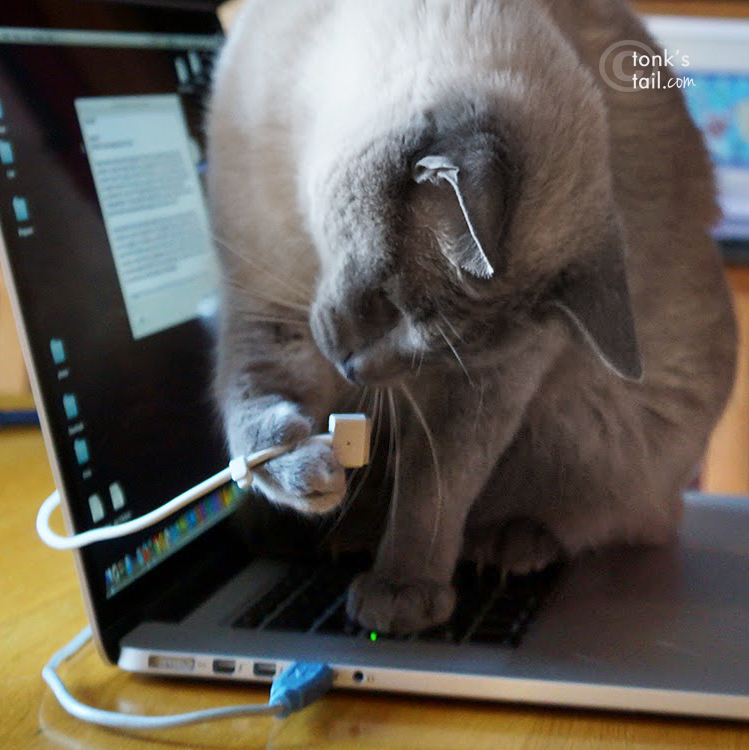 "What do you mean, 'computer cables don't count'?" Did you know you can exhaust your cat even is he or she isn't actually moving? That intent focus on a moth circling a light, or chittering at a squirrel? The mental exhaustion that comes from stalking counts as part of the hunt. You'll need go go grab a copy for yourself to find out more about the hows and the whys of exhausting your cat through the process of HKCE. This book was co-authored by Dr. Mikel Maria Delgado, a feline behavior consultant and research fellow at UC-Davis. 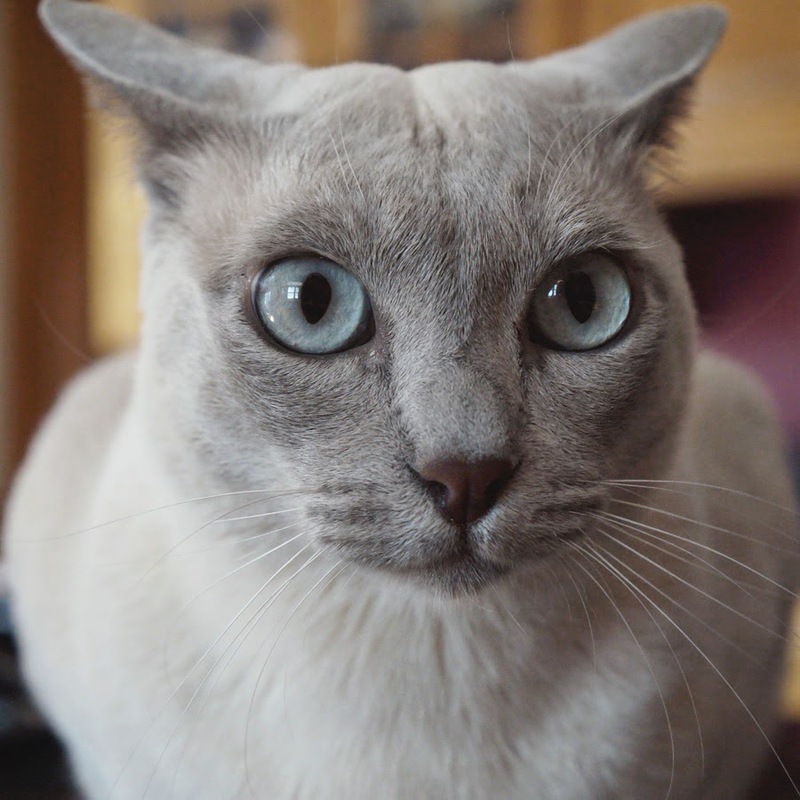 If that pedigree doesn't impress you, she's also the resident Cat Whisperer for our friend Ingrid King, of The Conscious Cat. Total Cat Mojo goes on sale next Tuesday, October 31. You can buy it on Amazon or at your local bookseller - many of which have scheduled appearances and book signings with Jackson in the coming weeks. If you absolutely can't wait, you can preorder at the affiliate link below. Great review! I learned SO much while reading this book. So often while playing with Mudpie's wand toys I get perturbed when she just lays back watching the toy, letting me do the work...but that's actually part of the hunting process! Guess I'd better put this on my Christmas wish list! This sounds like an awesome book! My human needs to check it out. I don't think anything in the world would explain cats to me. You felines are so different from canines! I can't wait to read this. I have a lot of bullies. Lots of interesting info and I'm sure it will be a great read. I've always keep everyone's nails trimmed to prevent scratches that can result in infections or abscesses.